This post was done in partnership with Smile Brilliant, however all opinions are my own. Thank you for supporting brands that support Southern & Style! If you've been a long-time reader, around the end of last year I discovered a brand called Smile Brilliant who are known for their at-home teeth whitening kits that are the real deal. I shared my whitening results & have fallen in love with the kit and the brand-I look forward to being able to whiten again after pregnancy is over! So, since dental and oral health is so important for pregnant women & just in general-I have been trying to be very diligent about taking care of my teeth and mouth, including regular brushing, flossing, mouth-washing, and trips to the dentist. At my last dental appointment, my hygienist asked if I had ever considered an electric toothbrush and I told her no...I was honestly pleased with my manual toothbrush & didn't know that there were any additional benefits to using an electric version. Boy, was I ever wrong. She explained that electric toothbrushes actually help you teeth by removing more plaque than an average manual toothbrush & they also improve gum health (so important for everyone, but especially expecting Mama's like myself!). She also knew that I'm a huge coffee lover & since having to stop using my Smile Brilliant whitening kit since being pregnant-I was feeling self conscious about my smile and she informed me that an electric toothbrush could help my whitening as well. 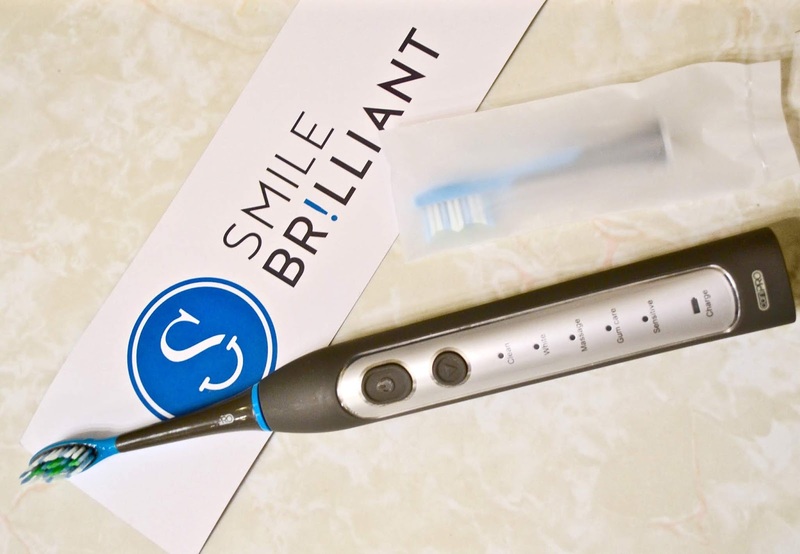 Y'all, the team at Smile Brilliant answered my dental prayers once again because after some investigation I discovered that my favorite whitening brand also has an electric toothbrush on the market, but at a much better value than other comparable brushes on the market and when I say better value, I mean at half the price of other similar brushes out there. In the individual package you get one cariPro Ultrasonic toothbrush, two premium replacement heads with tongue scrapers & DuPont bristles, one wireless charging dock, and a very helpful instruction manual. White-Most powerful mode for removing deep surface stains, polishing, & deep cleaning. Massage-Gentle gum pulsation for gum stimulation-use this one combined with another mode for complete cleansing coverage. Gum Care-Gum mode is for gentle cleansing along the gumline, combine this mode with another for complete cleansing. Sensitive-This is the perfect "beginner" mode to get used to the shift from manual to electric toothbrushes. It's also perfect for those who have sensitive gums and teeth. I was able to start with this and then shift to white & clean modes within about a week. Overall, I have been so pleased with my cariPro Ultrasonic Toothbrush-it's truly helped me regain my self confidence in my smile because my smile has whitened significantly, but more importantly my oral health is greatly improved-my dentist was satisfied when I came in for my last cleaning! 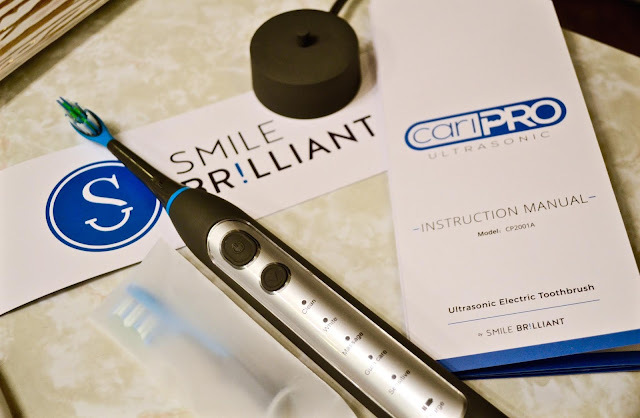 If you're looking for an upgrade to your dental care, then I highly suggest trying out the cariPro brush...you have absolutely nothing to lose-they have a 60-Day Trial so it's worth testing out to see if it works for you. Also, make sure you check out their FAQ (frequently asked questions), just in case you need to know anything before you buy. Who doesn't want a brush that will remove up to 7X more plaque than a manual, improves gum health in just 2 weeks, and offers 2X whiter teeth in just one week? 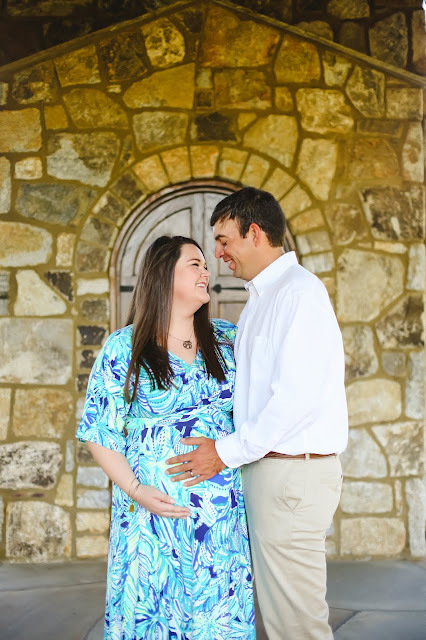 Y'all know I also wouldn't leave you without a coupon code; so use the code southernandstyle20 for 20% off cariPro Ultrasonic Toothbrushes-they're worth the investment in a better smile! 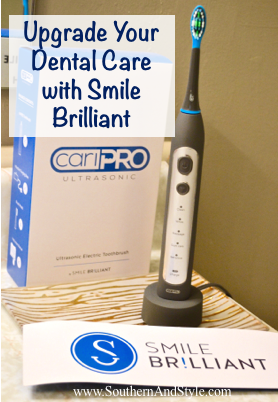 And even better than that you can enter here to win one of these cariPro Ultrasonic Toothbrush sets for yourself...let me know below that you entered! I love a good toothbrush!